Honey is a mainstay at local farmers’ markets, with many home apiarists selling honey from side-of-the-road stalls. 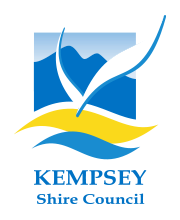 Kempsey company Real Honey sources its unique honey from local Indigenous Australian apiarists with a deep knowledge of the medicinal properties of local flora and who are passionate about their honey and the lore of the valley and its life-giving river. Real Honey currently exports Macleay Valley honey to a growing international market.